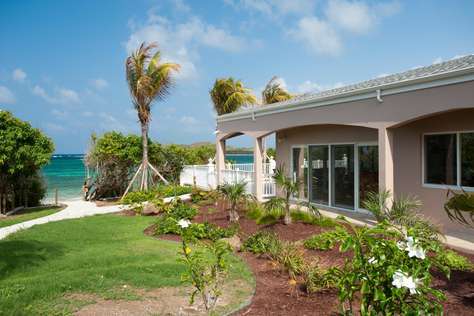 Cruzan Sands Villa on the Beach is a brand new luxury beachfront villa located in the exclusive Estate Salt River on St. Croix in the US Virgin Islands. 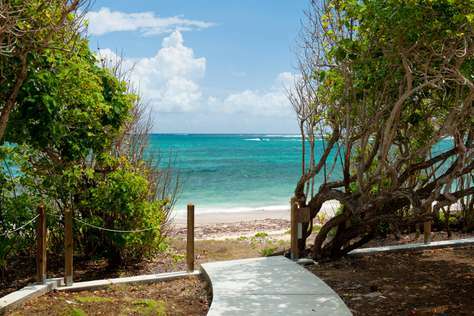 Our sandy beach, located just a few steps in front of the villa, is perfect! 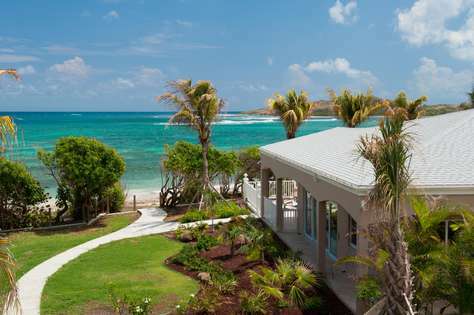 Cruzan Sands Villa on the Beach is a brand new luxury beachfront villa located in the exclusive Estate Salt River on St. Croix in the US Virgin Islands. 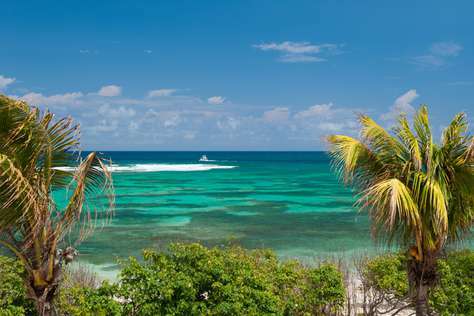 Our sandy beach, located just a few steps in front of the villa, is perfect! The clear water is tranquil and inviting. 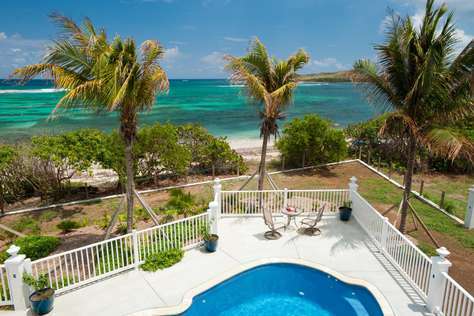 Swimming and snorkeling right in front of our villa are ideal! 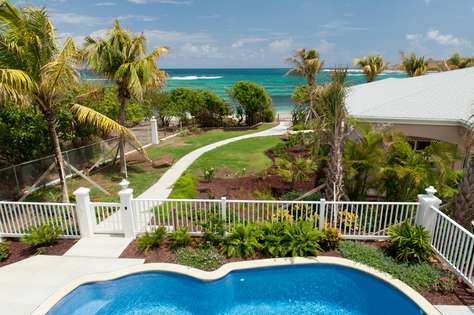 The views which capture your attention from every angle are breathtaking! 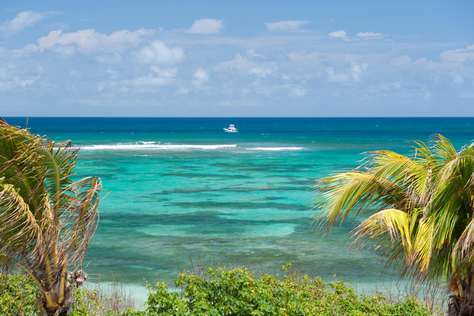 If you are looking for a wonderful vacation in paradise, then you have found it here! 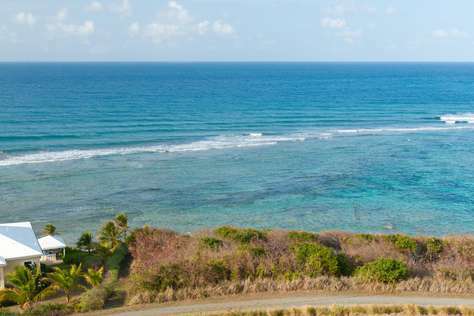 Our villa is located on the North Shore of St Croix, literally minutes from the island's best dive sites. 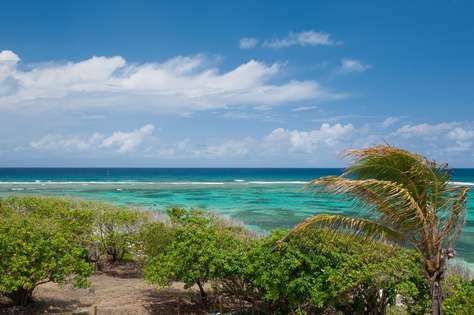 One can see the Marina, just around the corner, as you drive to our home! 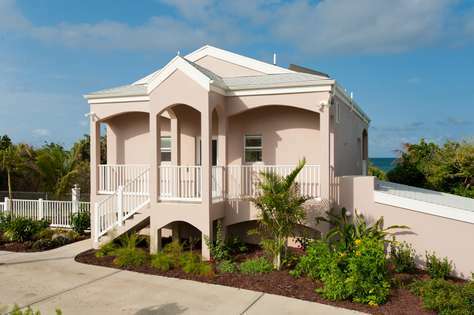 Cruzan Sands Villa sleeps 4 people comfortably in bedrooms, each of which has a private bath. Our gourmet kitchen is fully equipped. 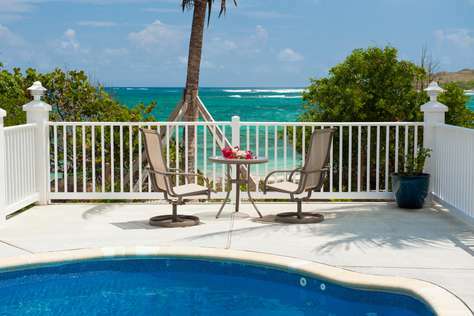 Our great room and our spacious decks, right on the beach, offer a Caribbean paradise dream come true! 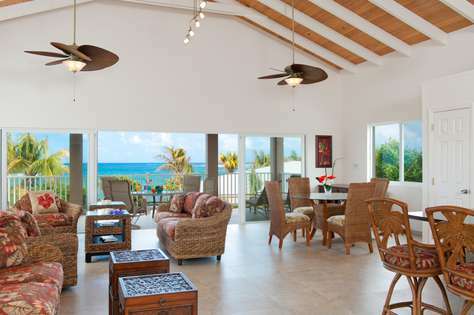 Cruzan Sands Villa has an open, airy great room, designed for vacation pleasure. 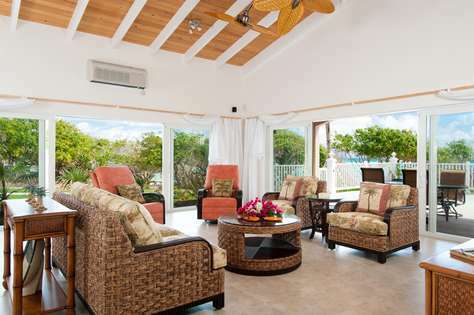 Our casual and elegant tropical decor enhances the experience of living on the beach in luxury. 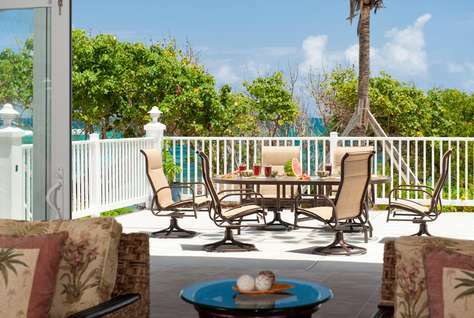 You can relax on our spacious wrap around porch, protected from the sun and enjoy the magnificent views of the Caribbean Sea. 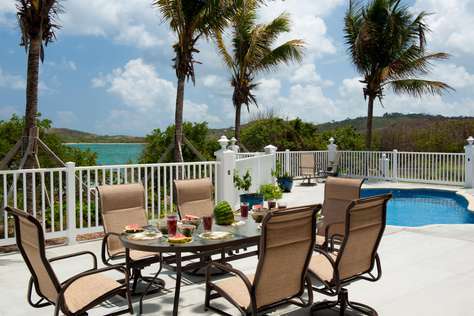 Sun worshipers have a spacious deck on which to lounge by the fresh water swimming pool. 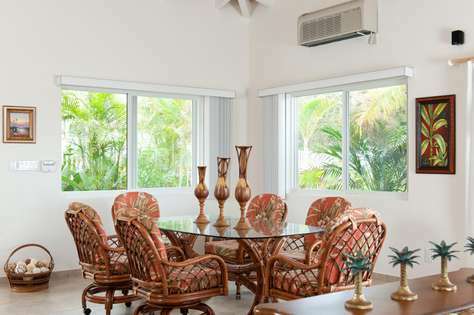 The constant easterly breezes keep the villa cool and the ceiling fans in every room help to maintain the balmy, sultry feel that we crave. Optional air conditioning is available for those who want it. 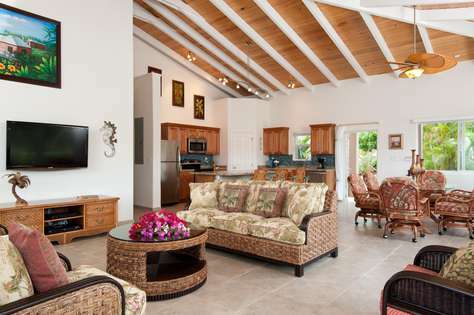 Vacation comfort is a given, with the villa’s large living area, designed for enjoying time with friends and family in a warm, sunny tropical setting. The flat screen TV keeps you close to home with news or allows you to watch a movie in comfort. Wireless internet is complimentary. Our wall to wall glass doors present the best views imaginable! A fully equipped kitchen with new, luxurious amenities such as granite counter tops and stainless steel appliances make cooking a joy! 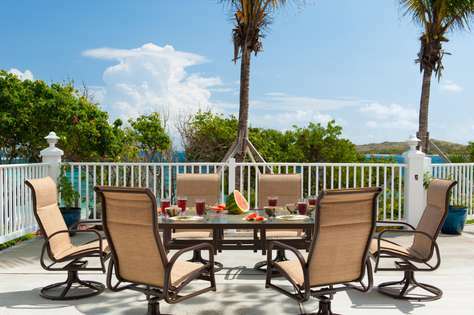 Dining can be inside or outside on the covered veranda. One of our bedrooms has a King bed. The bath is ensuite. One bedroom has two twin beds, which can be joined to form a King if desired. This room has an ensuite bath, too. 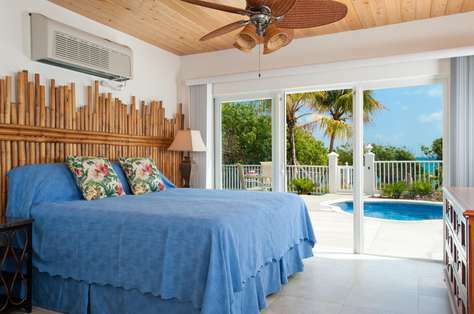 The bedrooms have wall to wall glass doors that step onto a second pool deck and these bedrooms also overlooks the beach in front of the property. There is a powder room upstairs off the great room for convenience. All bedrooms have ceiling fans. All bedroom baths are finished elegantly with granite top counters. Each has a step-in shower. Our fresh water swimming pool is nestled in a beautiful garden setting, surrounded by a large deck with plenty of loungers. 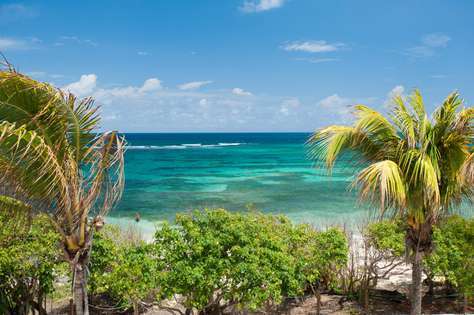 Right on the beach and offset from the Main Villa, the pool offers a refreshing splash after enjoying a swim in waters that are perfect for snorkeling, swimming or soaking. 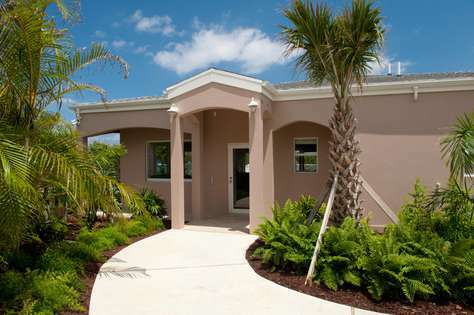 The gardens feature dozens of palm trees and prolific tropical flowering plants. Come visit us soon! We can't wait to see you!